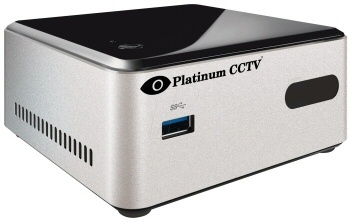 Find your video faster than ever before with this 1080P AVM security camera system. 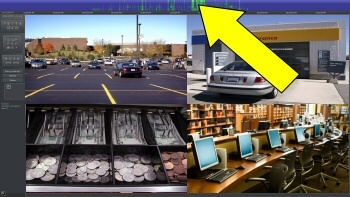 Our system allows you to scan through days of video in a matter of seconds. This means that you can see everything that happened in a day, week or even month without spending any time at all. With an NVR that allows this access, you will find that you use your system more, extracting more value from the investment and making your life and business better. You want to see it Anytime? 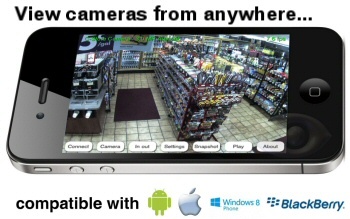 We have been watching security cameras on our cell phones since the days of the flip phone, this is why our remote access is so much more advanced than the competition. 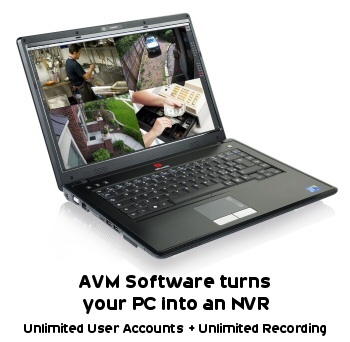 Our NVRs also have more processing capabilities, using todays PC processors to process the video and provide the remote access for your iPhone and Android devices. This means that you get smoother, higher quality video remotely over the internet, not matter where you might be located. 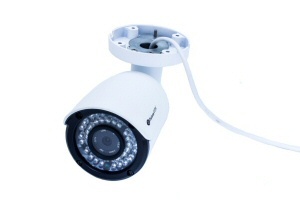 Enjoy high quality color video with the included 1080P HD IP cameras. Each of these cameras feature our fast 7th Gen video processor, making sure that you will have low latency, high quality video at great smooth framerates. 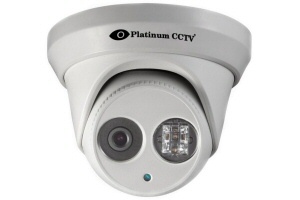 Even though our 1080P model IP cameras are our budget models, that doesn't mean that we have skimped on the quality. These cameras have the same high quality housings and video processors as our 2K and 4K model cameras, ensuring that you will be thrilled with the video quality and smoothness. 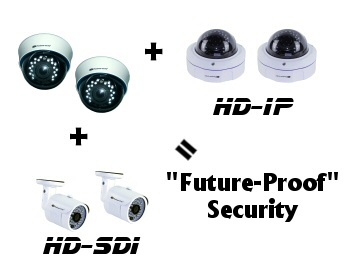 Our AVM system can be easily expanded by incorporating additional HD-IP, analog or HD over coax cameras, allowing you to continue growing your security camera system as your needs develop. This is an area where many camera systems fail, requiring you to replace expensive hardware to add more cameras. 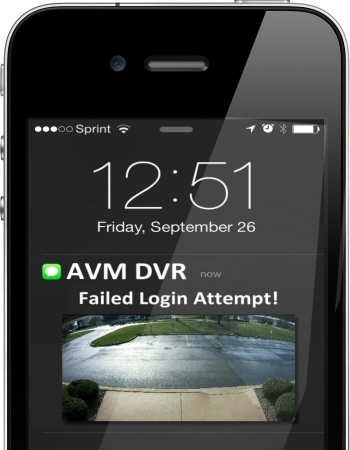 This has never been the case with AVM systems, which is why our customers have been expanding and growing their systems, some for over 15 years. IP cameras and NVRs are one of the most vulnerable systems when it comes to hacking, unless they are implemented properly. Many of these devices have cloud-based or P2P remote access, which by definition circumvents firewalls in order to make remote access easy. Unfortunateley, this is the absolute worst possible thing when it comes to security. This is why hackers have targeted these types of embedded devices. Our AVM system is a different kind of device, running a full operating system, which is easier to keep up to date to protect it against attacks. Our AVM system is also fully compatible with secure VPN access, making it the obvious choice for IT departments that are serious about security. See in complete darkness with these 1080P HD IP cameras. 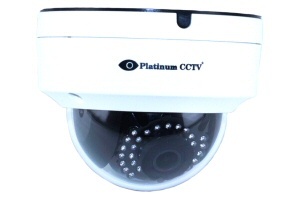 Each of these cameras features various numbers of IR LEDs and array LEDs which illuminate the area in front of the camera with an invisible light that only the camera can see. 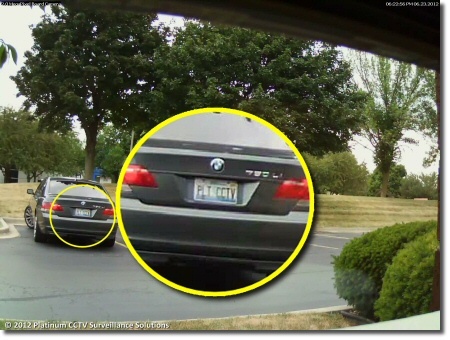 This allows your cameras to see even if you cannot. 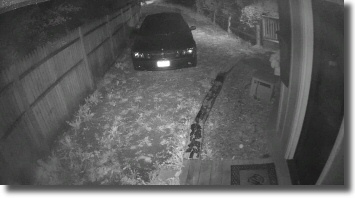 We combined this IR light with enhanced video processing engine to deliver sharper and clearer night vision than ever before. Select from 3 models of cameras, ranging from 65' to 100' infrared night vision depending on model. Expand the functionality of your business security camera system with our optional alarm I/O board. 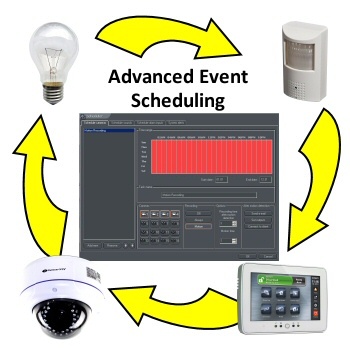 This allows you to connect your security cameras to your alarm sensors or alarm control panel to send email or text alerts based on sensor conditions. This can make your building smarter, sending email alerts based on motion sensors, door sensors, freeze sensors, water sensors or any other NO/NC sensor. Your building can now inform you when something needs attention. Really looking to cut your losses? Our optional POS integration module can assist you, by recording exactly what items are included in each transaction, overlaying that video and storing the receipts in a searchable plain-text. 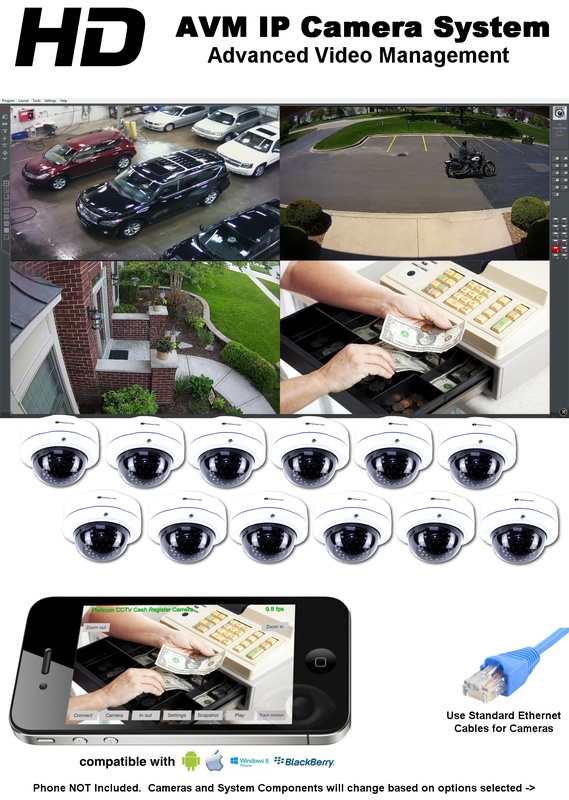 Unlike most POS system integrations, ours works with all types of cameras (analog, HD over coax and HD-IP). This allows you also to search for certain transactions based on cashier number, discounts applied, so that you can see the video based on transaction info.